Breathtaking canyon views!!! Enjoy the magnificent sunsets while sitting by the fire pit, enjoying an outdoor meal, or relaxing in the hot tub in this entertainer'™s backyard! The interior of this tranquil cul-de-sac home is as impressive as the exterior. This home has been impeccably remodeled with a gourmet kitchen and gorgeous remodeled bathrooms. Other spectacular highlights are smart home features and surround sound. Close to restaurants, the beach and convenient access to the 52 and freeways. Directions:Jutland Dr. to Idlewild Way, to Karok Avenue. SchoolsClick map icons below to view information for schools near 3257 Karok San Diego, CA 92117. Home for sale at 3257 Karok San Diego, CA 92117. 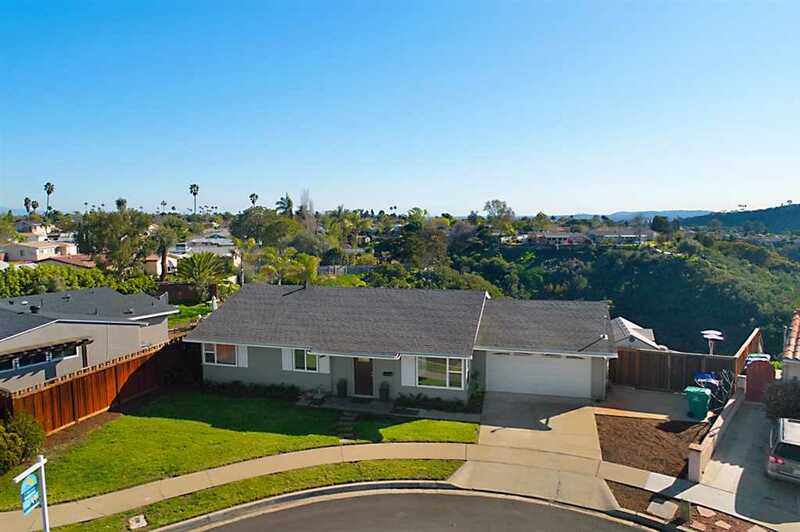 Description: The property at 3257 Karok San Diego, CA 92117 in the Bay Ho/West Clairemont subdivision with the MLS# 190007535 is currently listed for $842,600 and has been on the market for 77 days. You are viewing the Sandicor listing details of the home for sale at 3257 Karok San Diego, CA 92117, which features 3 bedrooms and 2 bathrooms, and 1260 sq.ft. of living area. Listing information last updated on 4/26/2019 12:00 AM.